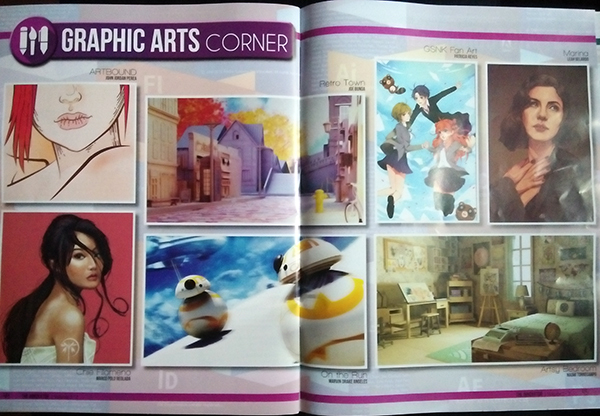 My daughter’s entry (photo at the lower right page) landed on their school magazine graphics arts corner. It was the same artwork that got featured at the FEU-IT’s Official Digital Arts Portfolio last year. This entry was posted in Artwork, College life, Digital Art and tagged 3D rendering, DA student, digital art, digital arts student on February 13, 2016 by Yami.